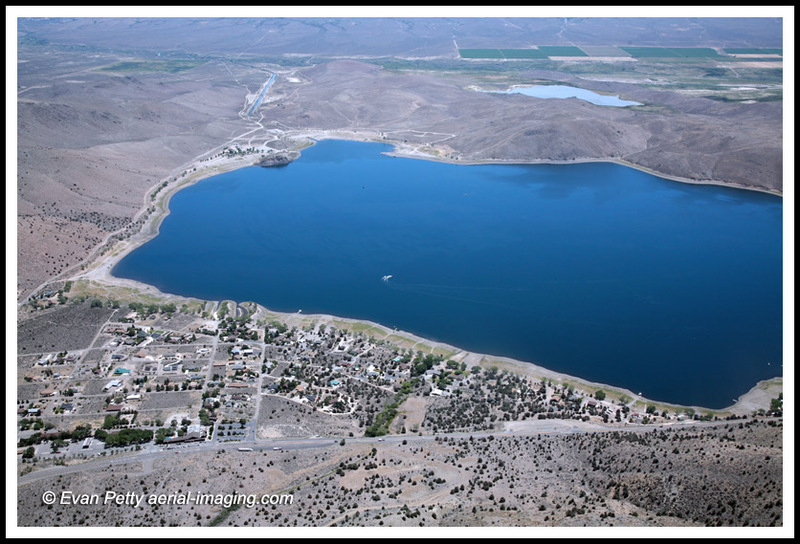 Topaz Lake is located on the Nevada (Douglas County) and California (Mono County) border – about a 90 minute drive south of Reno. 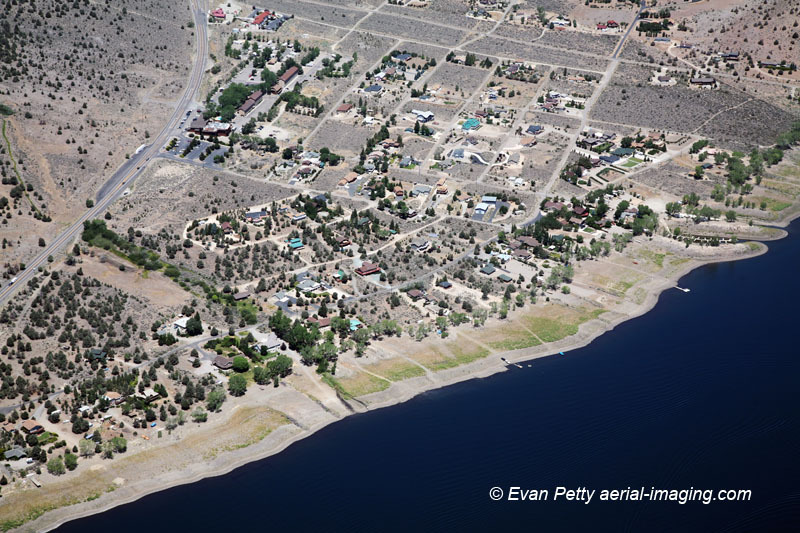 In this aerial you can see the reservoir’s residential area is on the northwest shore showing boat access to the water. Boating, water-skiing and fishing are popular here as the lake is regularly stocked with trout. The depth of the reservoir reaches approximately 92 feet.